There is never a bad time for barbecue, especially at Thanksgiving. 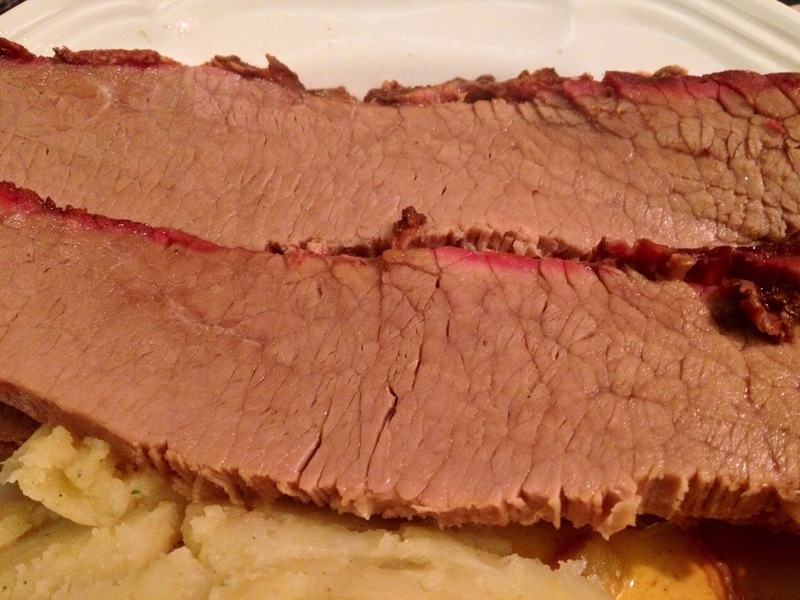 Forget the turkey, make a brisket instead! Sure, your guests might throw a bit of a fuss when they find out the traditional roast bird is off the menu, but don’t worry about it. Once the aroma of tender, smoked beef hits their upturned noses, they’ll think twice about complaining to the cook. To a lot of people, the term “barbecued” is the same thing as “grilled”. While the two words are sometimes interchangeable, true barbecuing (at least as far as North Americans are concerned) involves indirect heat and is essentially low temperature roasting. If you were to grill a brisket directly over an open flame, you would end up with something slightly less appealing than boiled shoe leather. If, on the other hand, you decide to barbecue that same brisket, low and slow and with much loving care, you will be rewarded with some of the juiciest and most flavorful beef you’ve ever experienced. Now that we have the silly definitions out of the way, you’ll need something to barbecue your brisket in. There are a number of different options here, some of which work better than others. A purpose-built smoker like a Big Green Egg or drum-style barbecue is ideal. Standard Weber-style charcoal barbecues can be made to work, as can propane grills. Whatever setup you’re using, you will need it to maintain a steady temperature in the low 200 degree range for about ten hours. 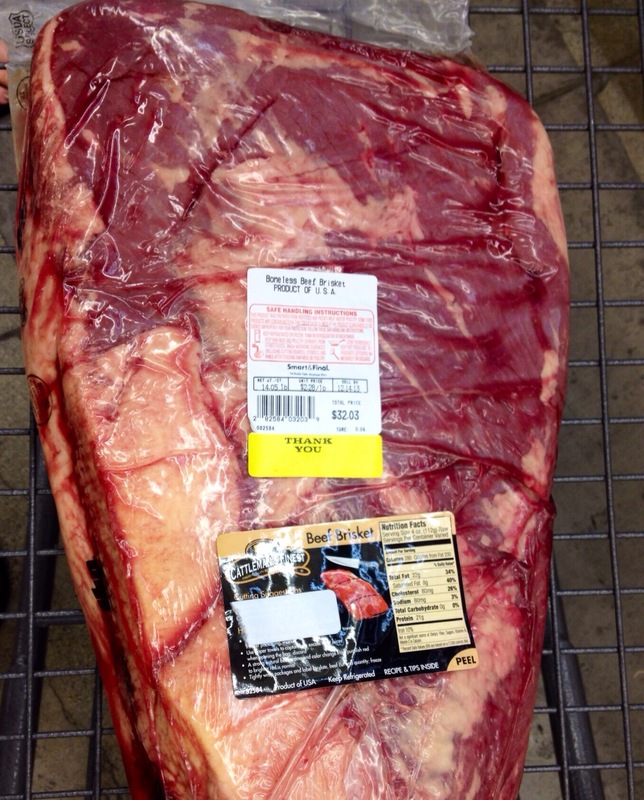 Of all places, Smart & Final stocks whole briskets regularly. They’re cheap as heck too. 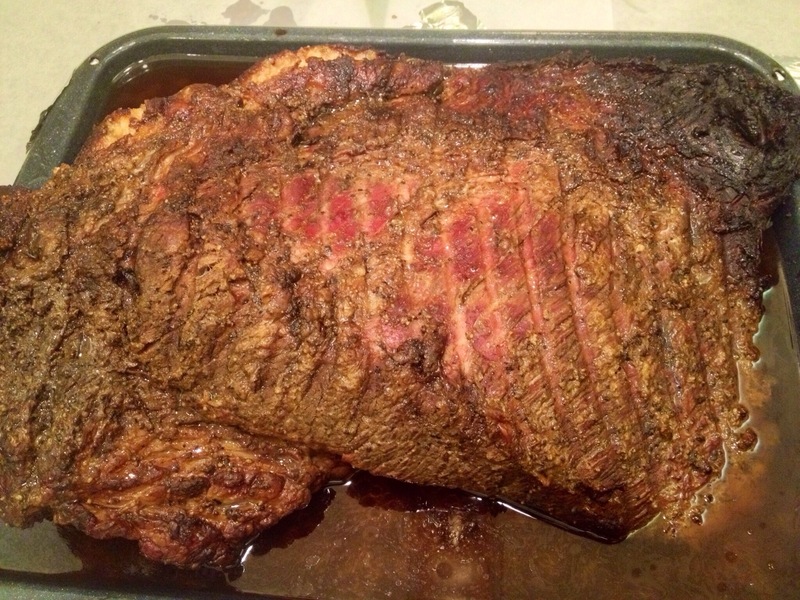 The last time I made a brisket – the one pictured here – I followed Chris Lilly’s recipe. His process involves a wet rub followed by a dry rub, and it’s remarkably delicious. Because I don’t want to Chris to sue my eyebrows off, I’m not going to repeat the recipe here. If you want to know what it is, you’ll have to buy a copy of Big Bob Gibson’s BBQ Book and read it for yourself. What I will say is that I like Grill Mates Texas BBQ Rub as well as anything, so if in doubt just go with that. Every hour or so, check your barbecue to make sure it’s holding the correct temperature and add a few wood chips to increase the smoke flavor. At around the six hour mark, start checking the internal meat temperature as well. Once the meat hits about 165 degrees F, remove it from the grill and place it in a roasting or drip pan. Pour a cup of water into the pan and cover tightly with aluminum foil. Place the whole thing back in the barbecue for another two-ish hours. Cocktail time. This step only requires 527 square feet of foil. Once the internal temperature of the meat hits 185 degrees F, remove it from the barbecue (but leave it covered!) and allow it to rest at room temperature for an hour. Don’t worry, it will stay very hot on its own for quite a long time. Apply more cocktails to your liver while you wait. When the hour is up, you’re ready to carve. Clear a large area on your kitchen counter and lay out a few large sheets of freezer paper, plastic side down. Uncover the brisket, carefully remove it from the pan, and be prepared to have every single living creature in your house begin crowding you, begging for samples. Threaten them with your carving knife to help clear some elbow room. Trim away the fat cap, separate the point from the flat, and slice against the grain. If none of that made any sense to you at all, here’s a helpful video that should clear things up. The big reveal. Save those pan drippings! At this point you will probably have noticed that there are quite a lot of drippings sloshing around in the empty pan. Skim the fat off the top (I recommend using a fat separator) and set the fat-less juice aside. This heavenly beef juice can be used as a drizzle on top of servings of sliced brisket, and it also does a great job of preventing any leftover meat from drying out in the fridge or freezer. 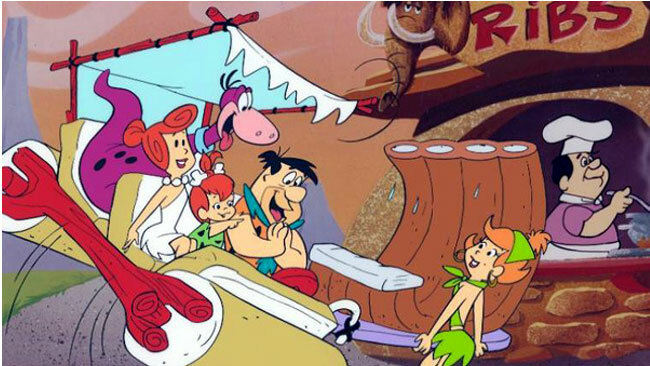 Enjoy the meat coma, and happy Thanksgiving! Set up barbecue/smoker for indirect heat, preheat to 225 degrees F. Rinse brisket with cold water, pat dry with paper towels, and apply dry rub liberally. 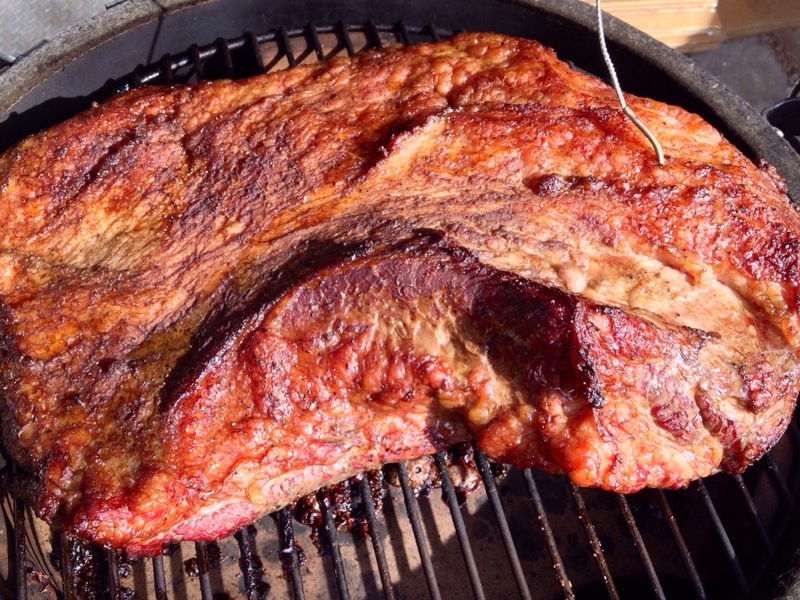 Place brisket on grill fat side up and cook for at least 6 hours, adding wood chips every hour for additional smoke flavor. When internal temperature reaches 165 degrees F, remove brisket from grill and place into roasting pan along with one cup of water. 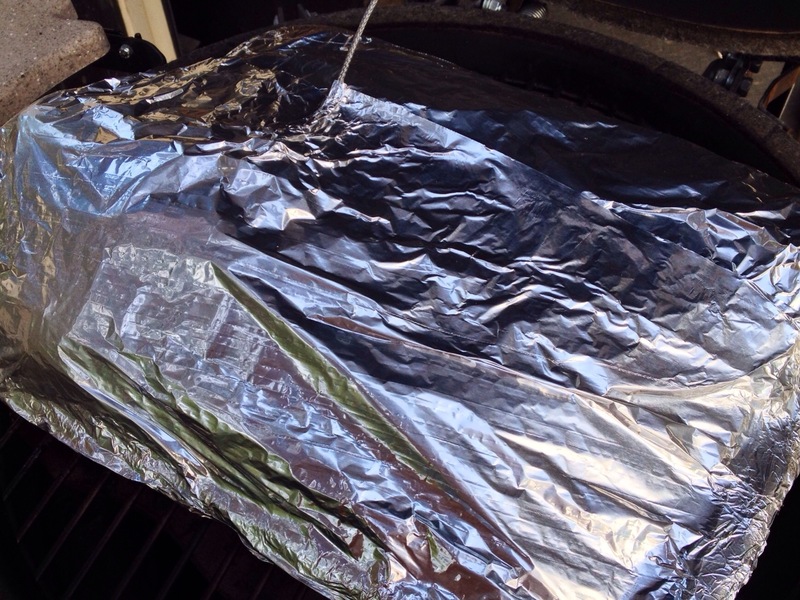 Cover tightly with foil and return brisket to grill. Cook for another 2 hours or until internal temperature reaches 185 degrees F. Remove from grill and allow to rest for 1 to 2 hours, leave covered in foil. Uncover and retain pan drippings. Carve brisket and serve. This entry was posted in Recipes and tagged barbecue, BBQ, beef, brisket, dry rub, food, pit-smoked, Recipe, smoked by Randomly Edible. Bookmark the permalink.